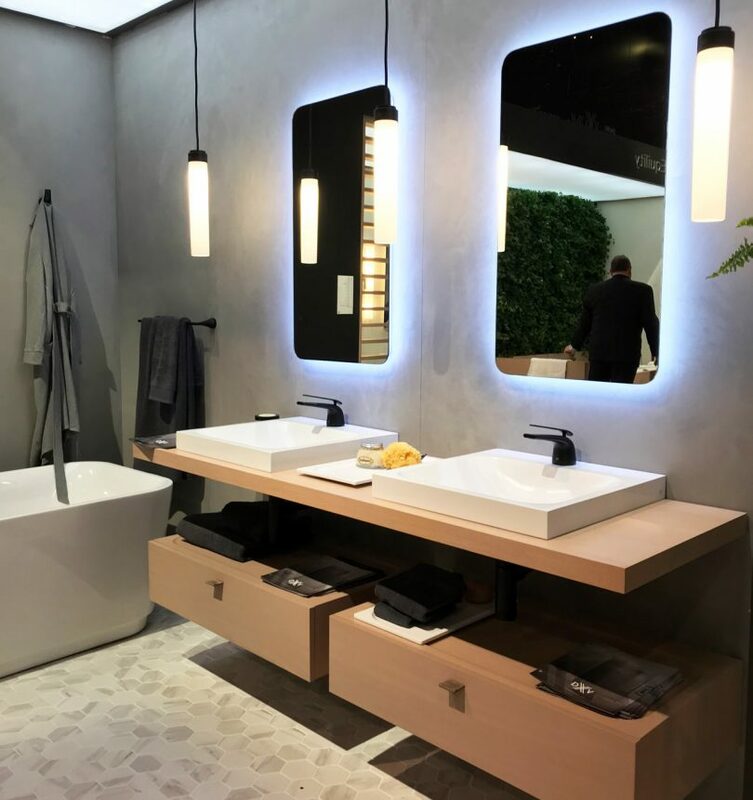 We headed to Las Vegas to check out the 2019 Kitchen and Bath Industry Show (KBIS) to check out the latest designs. Design Milk headed to Las Vegas to check out the 2019 Kitchen and Bath Industry Show (KBIS) where all the latest designs are unveiled. With over 600 top brands on display, there’s a lot to see and it’s impossible to share it all, so we’ve narrowed it down to some favorites. DXV’s clean, modern bathroom setup was perfection. Bertazzoni launched compact kitchen appliances that offer the same high-end capabilities as their larger ones. Thermador had a bold kitchen setup, the Connected Experience by Home Connect, that featured bright green and orange stripes mixed with grey. Dacor displayed modern ovens in fresh colors, including a very close match to Pantone’s Color of the Year – Living Coral. True Residential launched their brand new vibrant color option ? Emerald ? as part of their Build Your True Color Program. Kohler’s new sparkling Ombré faucet makes it easier to choose a finish since it’s more than just one. GE’s Café line lets you customize the look, like here where a basic white refrigerator gets a major upgrade with copper handles.